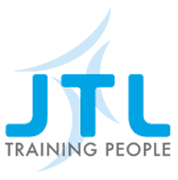 As you know, JTL is actively engaged with apprentices, employers, educational establishments and other organisation throughout the country. And that’s not something we can do from behind a desk. So it will come as no surprise that many of our employees – particularly Training Officers – have the freedom to work remotely from home. This offers them maximum flexibility to manage appointments and used their time efficiently. Working from home has its challenges, of course. You need to be self-motivated, professional and able meet clear targets and objectives, always maintaining the high standards we set for ourselves. Remote working is not the same thing as working in isolation, however. We make great efforts to bring our Training Officers together for meetings, and there is a constant flow of communication via phone and email. The result is a powerful combination of autonomy and support – one that offers you a practical way of getting things done effectively while also achieving a better work life balance.